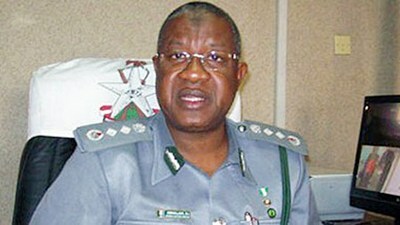 On the wake of taking over of the Destination Inspection Scheme from the erstwhile Service Providers by the Nigeria Customs Service (NCS) on December 1, 2013, the service discovered to its chagrin that the ousted service providers handed over to its custody over 99,000 (ninety-nine thousand) unprocessed Risk Assessment Report (RAR). Aware that there was no how the service was going to handle the unattended jobs left behind by the service providers since the takeover of the scheme came with it a new platform known as the Pre-Arrival Assessment Report (PAAR), it had to get another option aimed at offsetting the backlog of jobs under the now defunct RAR. The Comptroller General of Customs (CGC), Dr. Dikko Inde Abdullahi in his wisdom issued a circular No. 13 of 2013 and dated 11th December, 2013 introducing the guidelines on transition to PAAR. With the advent of the guidelines came what was known as “provisional release”, as reflected in the circular that read thus,” following the take off of the Pre-Arrival Assessment Report (PAAR) regime on the 1st of December, 2013, it has become necessary to issue the following directives: (i) goods that have arrived on or before 30th of November, 2013 with approved e-form M and processed final documents but not issued the RAR are directed to apply to the CAC for provisional release upon payment of duty and other necessary clearing process”. “(ii) Importers who have already processed their documents and whose RARs are pending in the banks and could not be transmitted to NICIS platform as at 30th November, 2013, by the service providers are directed to access their RARs from the authorized dealer banks and commence processing of their goods (iii) all other import guidelines/clearance procedures remain extant”. “These directives take immediate effect and to end 31st of January, 2014. Ensure strict compliance pleases”, the circular surmised. On sighting the document and its provisions, the hitherto confused and apprehensive importers and their agents heaved a big sigh of relief that at least their investments were not lost as a window of opportunity had been given to them to take delivery of their goods that could not get through before the expiration of the tenure of the service providers. And so, the importers and their agents made good use of this window provided by the Nigeria Customs Service to clear their goods out of the ports while processing and generating their PAARs for subsequent transactions. As at 31st of January, 2014 which was the deadline given by the service for importers and agents to have used the provisional release window to clear the backlog of their RARs, it became obvious that the time frame was not enough to clear all the backlog owing to some operational challenges thus leading to the extension of the provisional release by two weeks. But on the 29th day of February, 2014, stakeholders who gathered at the conference hall of the Apapa Customs Command for their usual monthly meeting with the customs as directed by the CGC were surprised to hear the Customs Area Controller of the command; Comptroller Eporwei Charles Edike announced the stoppage of the provisional release window. All the efforts made at the meeting to get the CAC to see reason on why the provisional release needed to still be allowed to operate for a while fall on deaf ear as the CAC maintained that there was nothing he could do as the only option for the stakeholders to do was for them to write to the CGC requesting for further extension of the provisional release as according to him, there was nothing he could do at his level. As the stakeholders were still grappling with the news and were putting heads together as to how to get the Comptroller General See reasons and further extend the provisional release, then the big bang came. On the 4th of March, 2014 the Comptroller General of customs, Dr. Dikko Inde Abdullahi after a closed door meeting with the officers and men of the Apapa Area Command told the anxiously waiting agents who pleaded for the extension of the provisional release that they should go and apply for their PAARs as the order to stop the provisional release came from the federal government directly. Another reason that Dikko gave why the provisional release had to go was that there was a shortfall in the government revenue owing to the fact that the agents and importers were using the provisional release to short change the government by subjecting it to series of abuse. While this last statement may be true to a large extent, the question here is, has the provisional release been able to solve all the problems that came with the takeover of the Destination Inspection Scheme by the NCS especially when it was said that over four thousand (4,000) unprocessed RARs were still pending as at the time of this stoppage at the various Customs commands across the nation. One would wonder what will become of those jobs remaining untidy before the stoppage of the provisional release. Another pertinent question is whether the PAAR is working efficiently now as expected as to warrant the NCS to stop the clearance of goods through the provisional release? Answer to the above questions will help an independent body or person to judge the wisdom in stopping the provisional release by the Nigeria Customs Service. Speaking to Primetime Reporters on the issue, the Former Public relations Officer, Save Nigeria Freight Forwarders, Importers and Exporters Coalition (SNIFFIEC), Mr. David Pius faulted the stopping of the provisional release describing it as ill-timed. Pius observed that NCS should not have stopped the clearance process through the provisional release window especially now that PAAR cannot be said to be working as expected. He maintained that NCS had not built enough capacity to be able to generate the PAAR as expected thereby forcing the importers and agents to go through another round of hardship in trying to get their goods out of the ports. According to him,” I am not in support of the stoppage of the provisional release because there are still some challenges on ground with respect to the PAAR. The challenges are that the PAAR is rarely generated on time and as such demurrages are building in the ports. And again, I found out from my personal research that the capacity has not been built yet for the Nigeria Customs Service. I also found out that they are still building capacity to produce PAAR less than three hours that they told us in the recent meeting that we had with them”. “Again, the stopping of the provisional release which you know is the only way for customs to cushion the effect and challenges of PAAR, I think they should have allowed the provisional release to go on for a while, while working out things to make PAAR to be more efficient. The stoppage is too early”, he said. On his part, the Chairman, Association of Nigerian Licensed Customs Agents (ANLCA), Lillypond chapter, Prince Chuks Anselm Njemanze described it as a wrong decision ever to be taken by the Nigeria customs service in recent times giving that efforts were still being made towards making sure that PAAR worked. Njemanze observed that there was no way PAAR would work with a lot of demurrages were heaping on their heads adding that the service should have allowed the provisional release to work beyond this stage. “That was a very wrong decision because we are working towards making sure that PAAR works but there is no way PAAR is going to work when demurrages are piling on our heads. It was wise for them to have given us leverage, what he called provisional. He should have allowed that provisional up to this stage or beyond”, Njemanze said. He stated that the PAAR was not being generated as and when due as a result, demurrage was eating up their businesses gradually adding that there were lots of jobs to be done in the terminal (Lillypond) but nobody was actually working because there was no PAAR and there was no provisional release. He alleged that even most of the goods that were taken delivery of under the provisional release regime and which PAARs had been applied for before now were not yet out not to talk of the new ones that they recently applied for, praying that,” God will give him the grace to revisit the policy and give a little more extension”, as according to him, it cannot be forever. However, taking a friendlier disposition with the Service, the Chairman, Igbo Maritime Forum (IMF), Ijora/Lillypond Chapter, Chief Lawrence Ubah while admitting that there were hiccups here and there, that it was normal for them to expect situation like that in a seemingly new policy. Ubah reminded his colleagues in the business that the situation was not different from what they experienced with the past policies that were introduced by the government especially when they introduced IDR and later RAR arguing that the perceived difficulties would soon be eased off. He alleged that some agents were lazy as not to want the provisional release to go as according to him,” we started with the provisional release based on the problems we encountered when PAAR took off in December 1, 2013. I happened to be part of the meeting where we deliberated with Customs to see reasons with us. They now gave us a deadline and they told us that if we processed our goods in provisional release, we don’t stop there, that we have to go back and make sure that we get our PAAR and get them transmitted and rectified”. “Now most of my professional colleagues, immediately they took delivery of their goods, off they go, they started going for another consignment, which is wrong. Now, if they go back and they are asked to do the right thing by the customs, they will say that customs are disturbing them whereas they were the ones that created the room for such thing to. What am I saying? If you have taken any delivery on provisional release, it behooves on you to go back to your bank and get your documents processed and get your PAAR, enter the command where you get your goods cleared under provisional release, less than two minutes they are done”. “Transmission of PAAR is just something that takes an hour; it doesn’t take the whole day. Those people that are complaining about it are lazy, they don’t want to follow the system”, Ubah claimed. Also speaking, the National Coordinator, Save Nigeria Freight Forwarders, Importers and Exporters Coalition (SNIFFIEC), Dr. Osita Patrick Chukwu bemoaned the stopping of the provisional release regretting that the service stopped it without even addressing the issues through which importers and agents can get clearance out of the ports easily. Chukwu disclosed that importers were losing over two billion Naira weekly in demurrage, adding that since the stopping of the provisional release, congestion in the ports were becoming terrible urging Primetime Reporters to take a tour of the ports to ascertain how many containers come out of the ports a day. He informed that the importers were being made to pay double in demurrage to both the terminal operators and the shipping companies for delays caused by the customs inability to clear goods on time thereby subjecting them to huge economic loss. He further accused the NCS of conniving with the terminal operators and the shipping companies to rip off Nigerians contending that if that was not the case, he saw no reason why NCS should chose to make Nigerians pay demurrages for no fault of theirs. According to him,” now provisional release has been stopped; look at the ugly situation, congestion in the ports is becoming terrible now. Go to the ports and see how many containers that comes out of the ports a day. We deliver four hundred containers per day in Apapa, now we cannot get up to fifty because of PAAR. The provisional release that was brought to address these things by the CGC through the CACs, they have stopped it without even addressing the issue or mechanism through which we can get clearance out of the ports easily”. When you apply for PAAR through the commercial banks, the PAAR is not forthcoming, maybe one thing or the other had made it so, then the demurrage that is accumulating is not only one. They are accumulating from both the terminal operators and the shipping companies. By the time you pay, let us assume, cumulatively, the total containers that is supposed to be cleared is ten thousand and you pay a demurrage of three hundred thousand Naira, respectively as terminal operators and shipping companies’ demurrages times ten thousand containers. Do the plus and the Minus and tell me how much Nigeria is losing per week. Is it not economic loss to our importers because customs were unable to do their work”, he queried. From the foregoing, it is clear that all may not be well yet as majority of our respondents on the matter were of the opinion that decision to stop the provisional release was ill-timed and that a lot more still needed to be done before we get to our dreamed land. Is the customs aware of this concern that most respondents in this piece and elsewhere or is it that they chose to ignore them and allow people suffer unnecessarily? If not, the service should take time to review the situation with a view to straighten all the rough ends otherwise, there is no better thing to be done right now by the hapless importers and agents that to join Prince Njemanze in praying that God will give the Comptroller General the grace to revisit his decision.